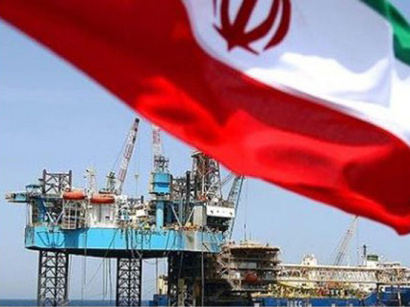 Asian buyers of Iranian crude imported 6.6 percent less in September than a year ago, the first on-year decline since December, but shipments rose back above the 1 million barrels-per-day mark allowed under a deal that eased Western sanctions, Reuters reported. World powers are negotiating to strike a permanent settlement with Iran on its disputed nuclear programme by a Nov. 24 deadline. Tehran would have to curb its nuclear work to ensure it cannot be applied to weapons in exchange for removal of the sanctions that have hobbled its oil-based economy. Iran and the United States said earlier they made some progress towards a final deal this month but that much work remains to be done. Some industry sources expect Iran to strike an agreement to escape the tough sanctions that have cut its crude exports by more than half sine early 2012. Tehran's crude sales would likely surge if Britain, China, France, Germany, Russia and the United States reach any agreement with Iran that would scuttle the sanctions. "Asian imports from Iran are likely to rise after that," said an analyst at a North Asian oil refiner who buys crude from Iran. "We should focus on how that would affect global crude supplies." The analyst, who declined to be identified because of the sensitivity of the matter, said he thought a deal would be reached by the November deadline. "There have been attempts to reach a consensus domestically in Iran towards the final agreement. The economic conditions are not good and they want to lift sanctions at an early stage." After a temporary deal was reach in November of last year to ease some of the sanctions, Iran's sales to its biggest Asian buyers - China, India, Japan and South Korea - jumped by as much as a third in the first quarter of this year. A similar upswing in Iran's exports now would add to an oil glut that has already reduced Brent futures to levels not seen since late 2010. China, India, Japan and South Korea together in September took in 1.08 million bpd of the Islamic republic's crude, down 6.6 percent from a year ago but up from 921,064 bpd in August, government and tanker-tracking data obtained by Reuters showed. In the first nine months of 2014, the four buyers' imports averaged 1.14 million bpd, up 19.6 percent from the same period last year. The interim agreement between Iran and world powers last year allowed Iran to keep exports at the reduced level of about 1 million bpd. But imports by Iran's four major clients in Asia have topped that mark every month of this year except August, rising to as much as 1.37 million bpd in February, although there has not been an apparent crackdown on the higher volumes. Prior to a toughed sanctions regime introduced in 2012, Iran's crude exports had averaged 2.5 million bpd.